Coaches come in many shapes and sizes ... as do our clients’ requirements. We often get asked to transport corporate guests to major sporting events en masse, to drive sporting squads to important fixtures or to cater to the needs of touring artists and their entourages. 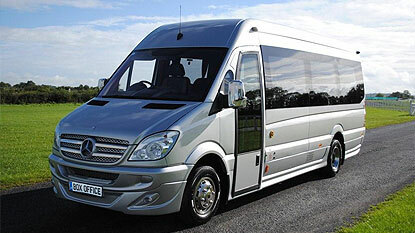 Whatever the occasion, our extensive fleet ensures that we’ll always have the exact coach to suit your requirements. From a 16-seat luxury minicoach with a full leather interior to a 36-seat team coach with a kitchen, living area and reclining seats, each coach boasts large luxurious seats and ample legroom, and has been carefully selected to deliver a comfortable and stylish travelling experience. Please speak with a member of our team who can recommend the perfect coach for your requirements.